this special amulet is sold. If you place it in your drawer, cloths will increase and you always have something nice to dress. 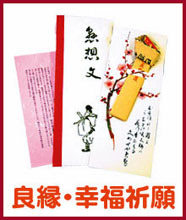 It is also helpful to find a good partner for life (enmusubi 縁結びに). If you have a business, it will help bring customers to your lodgings or store. 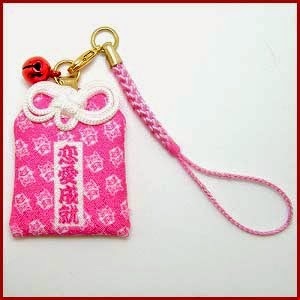 These amulets were quite popular with the young girls of the Edo period .. and are still to our day. 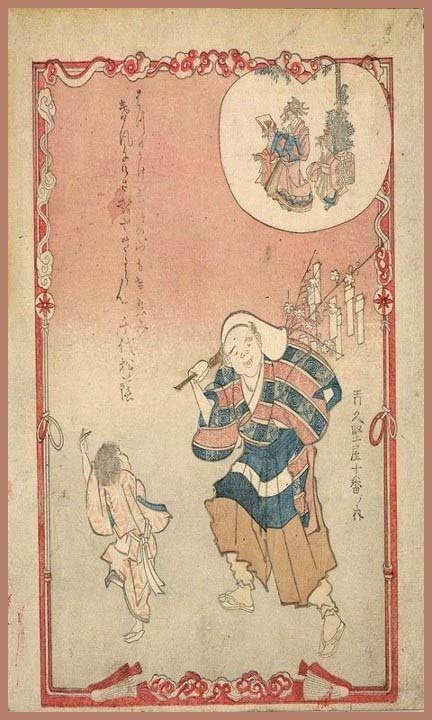 princess Shinasa hime no mikoto 櫛稲田比賣神. 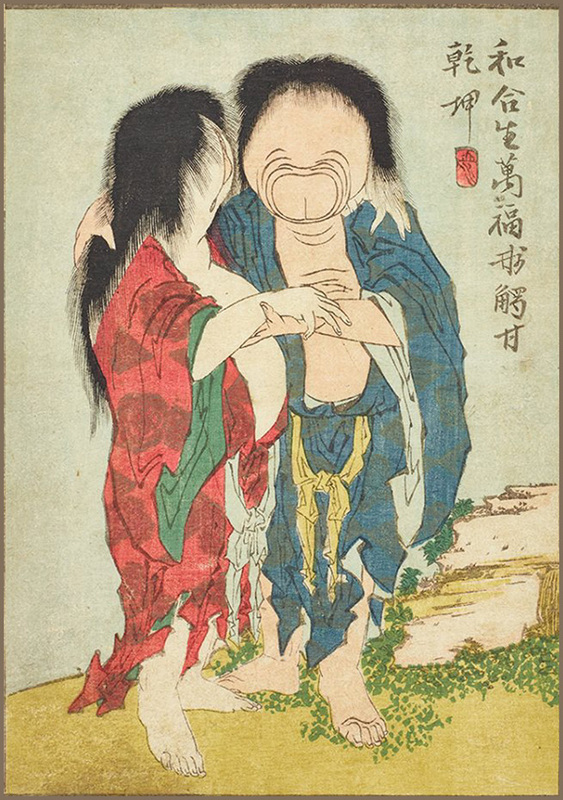 Both are deities to promote a good couple, finding the right partner (enmusubi) and also help with studies and learning. 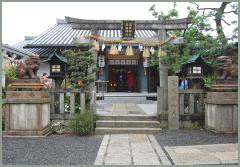 Gozu Tenno 牛頭天王 is also resident in this shrine, which is closely related to the Gion rituals. 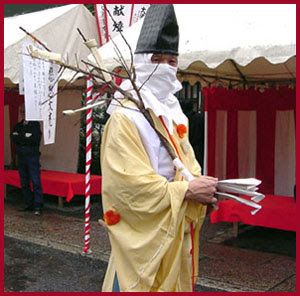 During the Setsubun festival, at the beginning of a new season (formerly celebrated as a New Year ritual) two specially dressed vendors of love letters walk through the shrine to sell their ware. 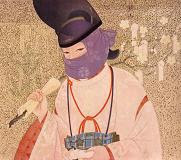 They wear black eboshi hats, stiff yellow suikan 水干 robes, red hakama trousers and hide their face with white cloth. They carry plum tree branches. If a woman got such a "love letter", she had to make sure not to be seen and open it in secret, hiding it behind her mirror stand. Thus she would become beautiful and somehow get beautiful robes during the year. kootsuu jinja 交通神社 "traffic shrine"
People come here to pray for a safe trip and travel, and owners of lodgings and hotels come to pray for good business. 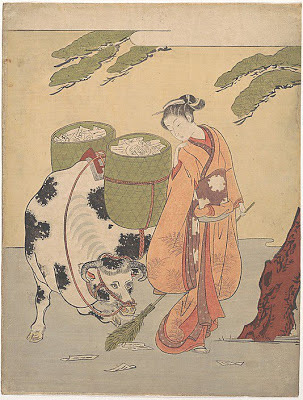 of love letters . . .
. Katsushika Hokusai 葛飾北斎 (1760–1849) . 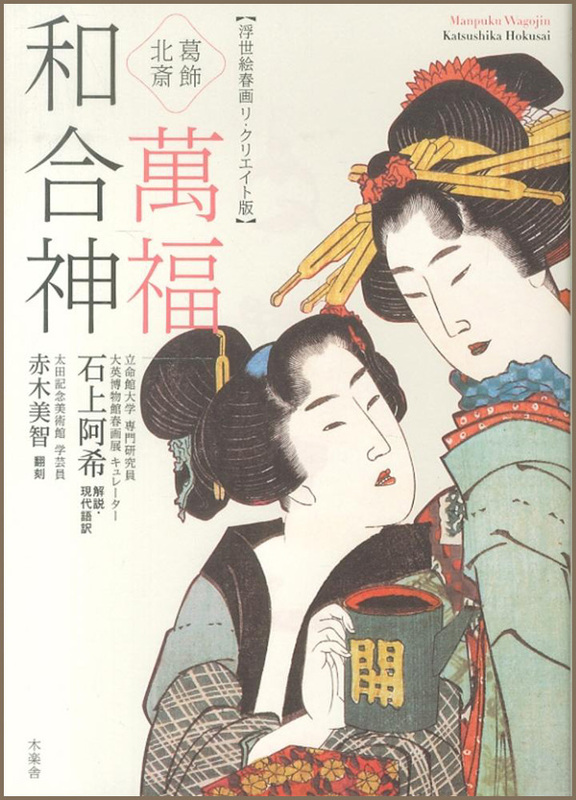 An illustrated book about all kinds of lovers . . .
. Gion Festival (Gion matsuri 祇園祭り) .
. New Year Saijiki .
. 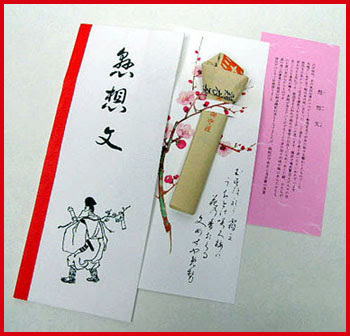 Regional Folk Toys from Kyoto . Thank you wonderful story that I have never heard. Very interest topics. Thanks for visiting, Sakuo san. every month on the 23rd.